Does the water beckon you? Your love, or fears, may become greater in this chilling anthology. Does the water beckon you? Your love, or fears, may become greater in this chilling anthology. From ordinary sea life to creatures of myth, our stories will make you think twice about the shadowy waters that beckon below. Follow our authors into the depths … if you dare. “In Memory” features seventeen unique takes on the theme of memory from authors spanning nine countries and four continents. 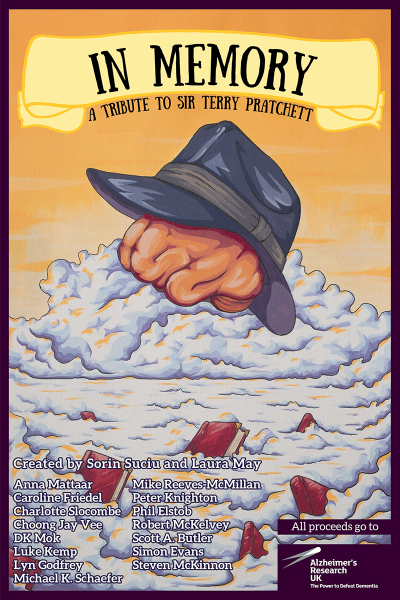 Written in dear memory of Sir Terry Pratchett and with all proceeds going to Alzheimer’s Research UK, these tales of magic (and the occasional automaton) will move you from giggles to tears and back again.